Outside of the White House on Tuesday, Trump said “Ivanka did some emails” before mentioning former Secretary of State Hillary Clinton five times in a span of roughly 40 seconds. In what is sure to be a coincidence, the topic was also covered very briefly by Fox News, which made Clinton’s emails the focus of the 2016 race. “What Ivanka Trump did, all in the presidential records, everything is there,” Trump said. 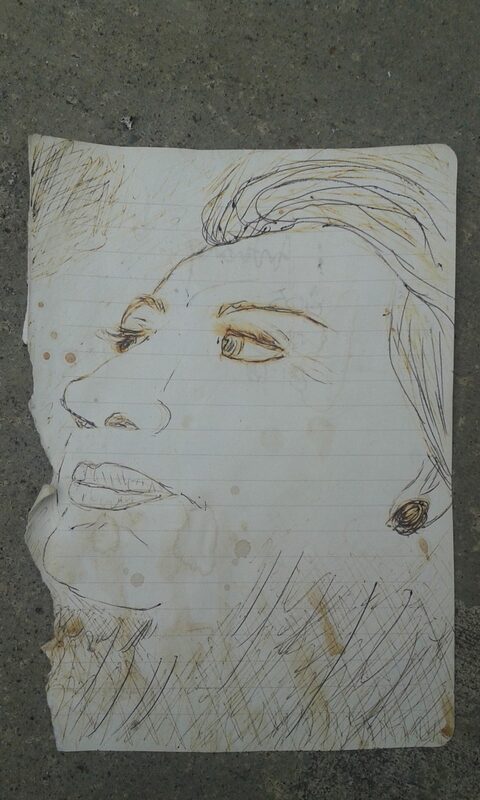 (Illustration above of Hillary Clinton was rendered by my youngest daughter, Melissa; drawn sometime spring 2008 during/after a Clinton story on TV — hung on my refrigerator door for years). So, okay to murder? Not a real shock for the T-Rump, though. Neither was the second story a surprise, though, it did dovetail hypocritically-nicely with Ivanka’s e-mails — supposedly last spring, the T-Rump tried to get his lawyers to make the Justice Department prosecute Hillary Clinton, and James B. Comey. Mr. Trump stoked his enmity for Mrs. Clinton during the campaign, suggesting during a presidential debate that he would prosecute her if he was elected president. “If I win, I am going to instruct my attorney general to get a special prosecutor to look into your situation,” Mr. Trump said. Just as California is on fire. Beyond that (Nothing Heavy! ), the T-Rump’s chaos-inducing reach is directly aimed at destroying democracy, America as its been for 230-plus years is getting tanked. Those qualities, plus authoritarians’ tendency to dismantle institutions that could be a check on their power, might sound uncomfortably familiar. As Oliver points out, Donald Trump himself once retweeted a Benito Mussolini quote wrongfully attributed to him, wanted a military parade, and regularly vilifies the media. “The world is dabbling in something very dangerous right now,” said Oliver.